Titled "His Appearance" this is a vertical human abstract, a man, that came through as I worked on this piece. 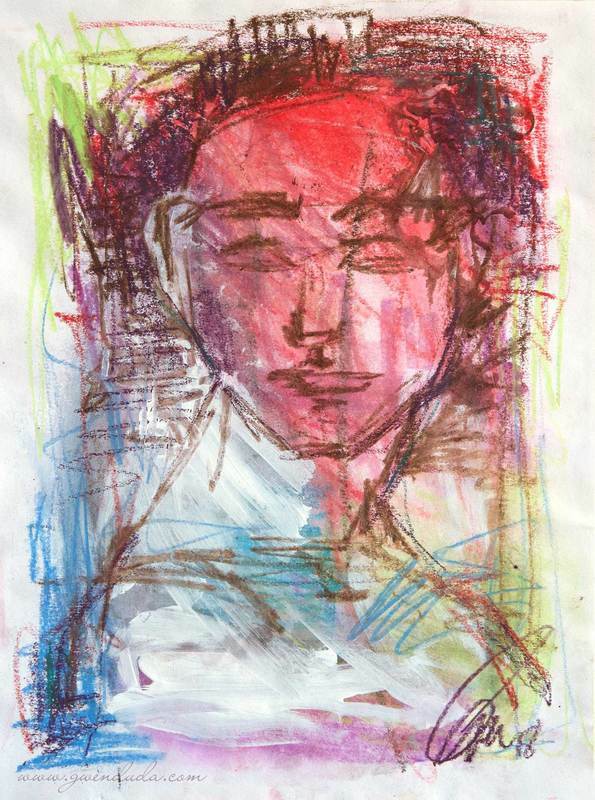 It started as a monoprint and then I decided to do a human face to it - a man's it would appear. I love the abstract feeling of it, the quickness and fluidity of the unrestrained line. Measures 12" (30.48 cm) x 9" (22.86 cm). Done is neopastels with a touch of white acrylic.